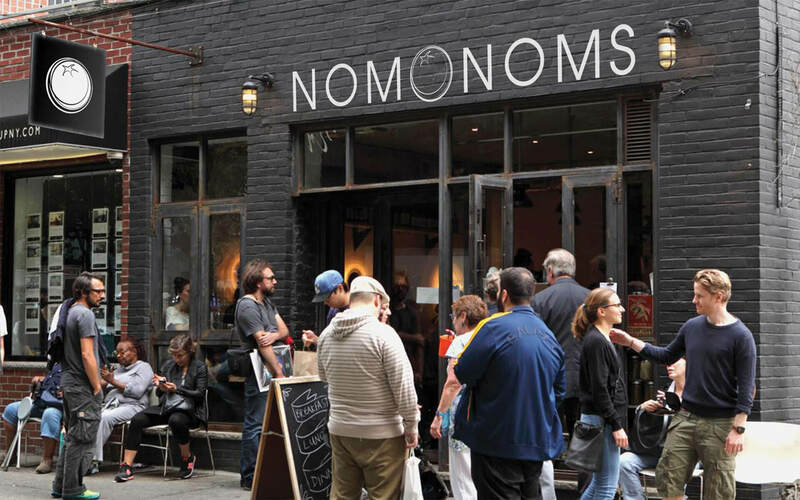 NomNoms is a delicatessen in Virginia that provides high-end sandwiches, salads, bagels, desserts, and snacks. 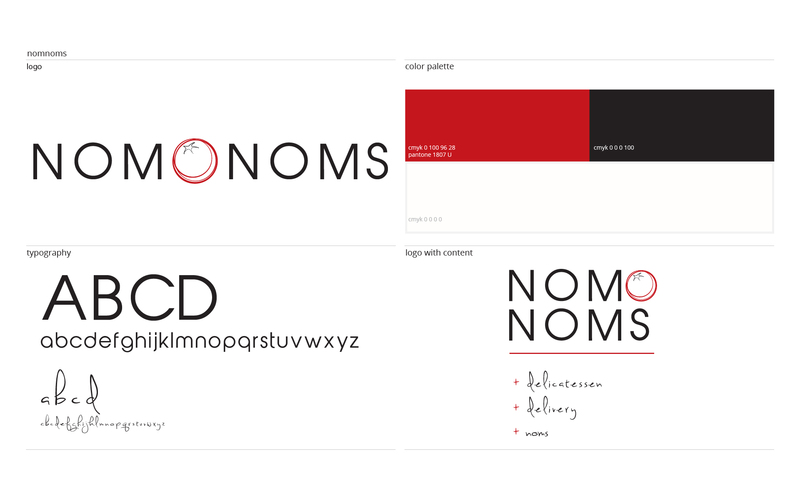 With the help of NomNoms proprietor I developed a logo and brand that spoke to the goals of her business. 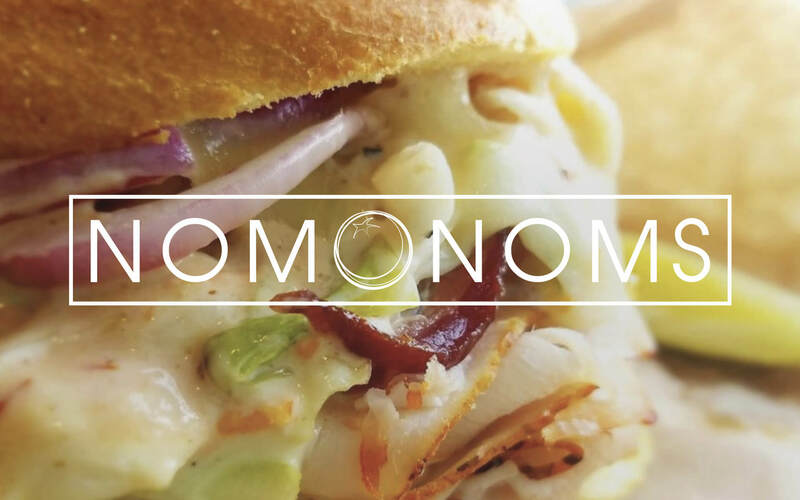 While the initial concept of NomNoms changed many times the main goal was to create an identity that high-lights the quality homemade food, and natural authentic feel of the venue. After a discussion with NomNoms propietor on how best she felt her brand should be represented, I sat down with a sketchpad to lay thought to paper. After further discussion rough ideas were worked out with more detail to help solidify ideas. Early in the process we knew that an elegant, modern feel would be appropriate, and quickly desconstructed and refined. 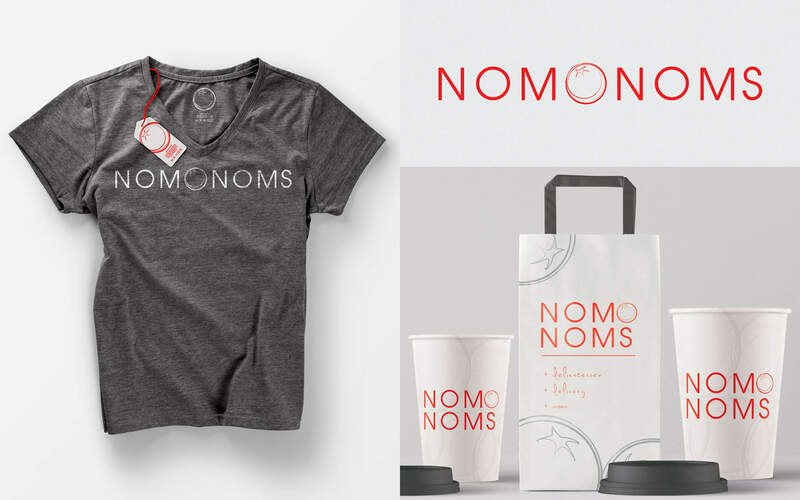 Mockups incorporating the finalized logo were created to show how the company's products would be realized on physical forms. NomNomNom!